Stencil machines are cutting machines to create your own stencils with oilboard. Our stencil cutting machines are easy to use, durable and inexpensive. Stencil cutting machines are manually operated and offer all quality features that the shipping industry prefers. Our manual stencil machines are portable, versatile and provide sharp, clear marks. Beside the portable stencil cutting machine, also a super size stencil machine is available for even more versatile stencils. This machine also allows you to make large, oversize marks. Regardless of the size of the application, your needs for high-quality, low-cost operation will be met with our machine. 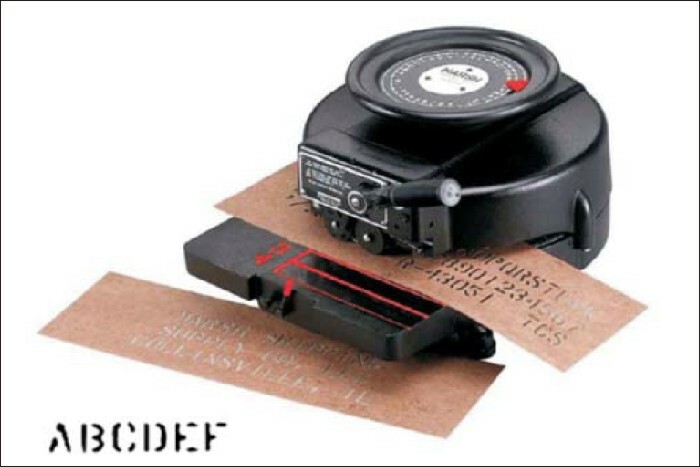 Stencil cutting machines are used to produce your own oilboard stencils. According to the machine, you will be able to cut various characters, letters and figures. These oilboard stencils are used in many areas of the freight and cargo industry as well as for various transport applications.